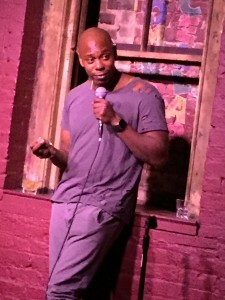 The Fat Black Pussycat is the sister bar, and late night hang out, for the world’s famous Comedy Cellar. Many nights, we also offer some very special early comedy shows in our beautiful Moroccan Lounge. For information go to ComedyCellar.com. Monday Nights are new joke night BTW. Airs Saturday Nights on COMEDY CENTRAL. 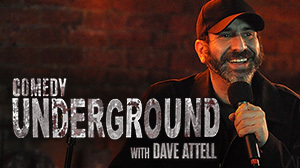 UNCENSORED Comedy featuring Dave Attell and friends – Shot LIVE at the FBPC and Village Underground. Watch the top comics in the country lounging in the Fat Black Pussycat, and then go downstairs to do a set in the Underground. Voted Best LOUNGE, Best Happy Hour and Best After Work Bar by CitySearch, join us for our famous Fat Black Pussycat happy hour. Sunday-Friday: 4pm-8pm – the ENTIRE BAR is half price (with a few minor exceptions). Most days we have a DJ playing a selection of fun music. If you’d like to reserve a table or couch, just email us and we’ll set it up for you. Every Sunday through Thursday - 4:00 to 8:00, the entire bar is half price. If you\'d like to reserve a couch or a table for you and your friends, just email us through our party form. Don\'t forget to visit our sister club the Comedy Cellar. Rock, Romano, Stewart, Cook, CK, Quinn, Seinfeld... this is the most important room in the Comedy world.